Stephen Colbert’s months of just-kidding-but-also-not-really fundraising reached its natural culmination last night, as Colbert announced that he has transferred control of his Super PAC to Jon Stewart—all part of the (single-sheet, double-spaced) paperwork that’s required to run for president. With Stewart in charge of all of Colbert’s sweet, sweet unlimited cash donations, Colbert is now free to mount an exploratory committee for his presidential campaign, and allow his “business partner” to do what he will with the money he’s amassed—such as, for example, use it to fund every aspect of his campaign, so long as he and Stewart don’t “coordinate.” Which, as with most candidates and Super PACs, they would certainly never, ever do. Of course, Colbert’s “exploratory committee” will soon discover that there’s no way for him to enter the race in time for the South Carolina primary: As CNN notes, he missed the Nov. 1 filing deadline and write-in votes are prohibited. So much like his last aborted run in 2007, it would appear that Colbert’s “presidential run” is largely some sort of satirical piece, concocted to make some sort of point about how current campaign finance laws allow for unfair collusions between candidates and their corporate backers, essentially rendering democracy an illusion. [WACKY SPRING NOISE.] 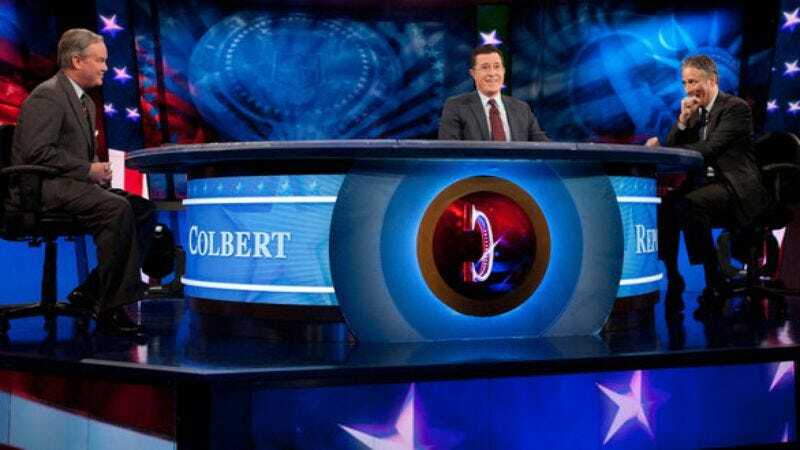 The funniest part, however, may be that if Colbert were allowed to run, he’d definitely have a better shot than John Huntsman. Seriously: Colbert is currently polling at 5 percent, with Huntsman at 4 percent. Nobody tell John Huntsman, because that guy doesn’t look like he can take much more of this.